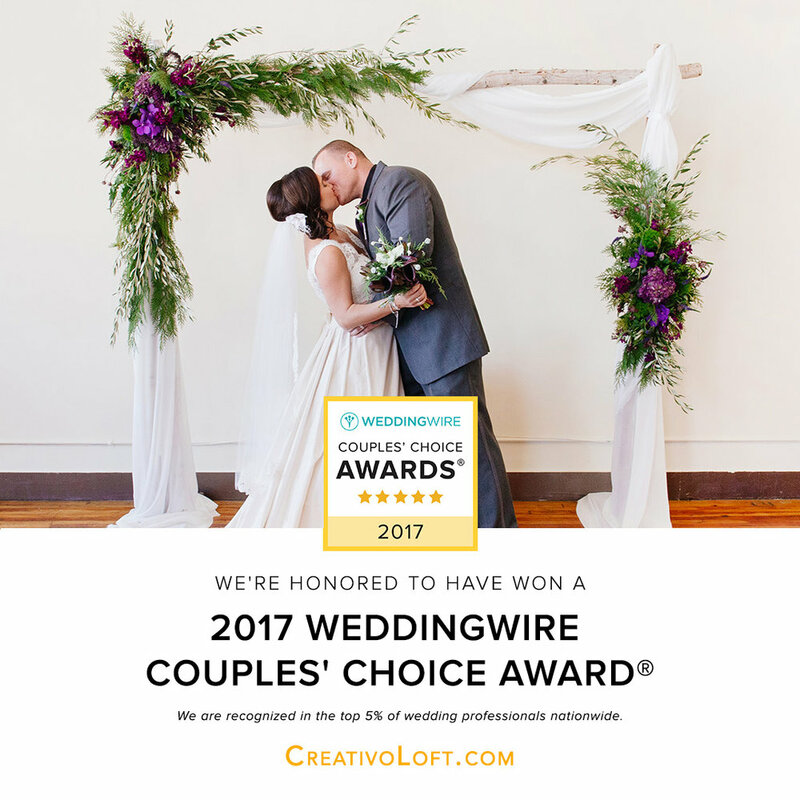 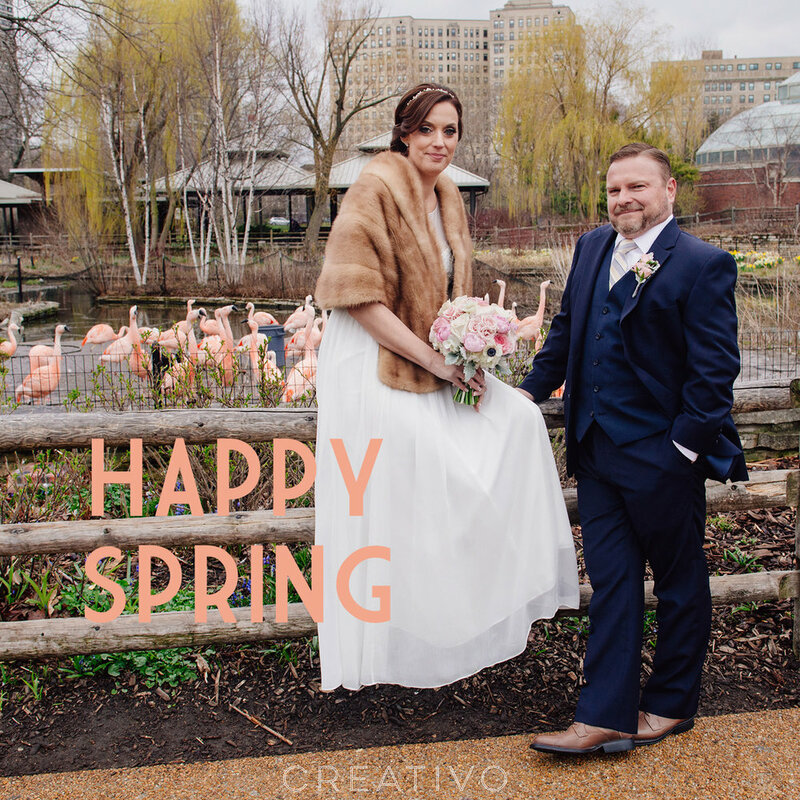 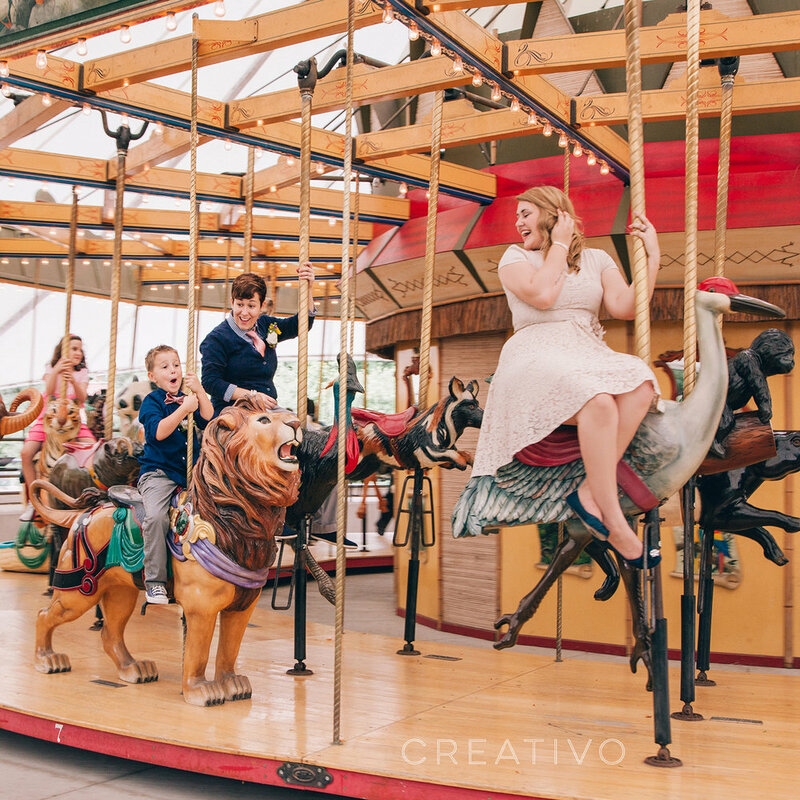 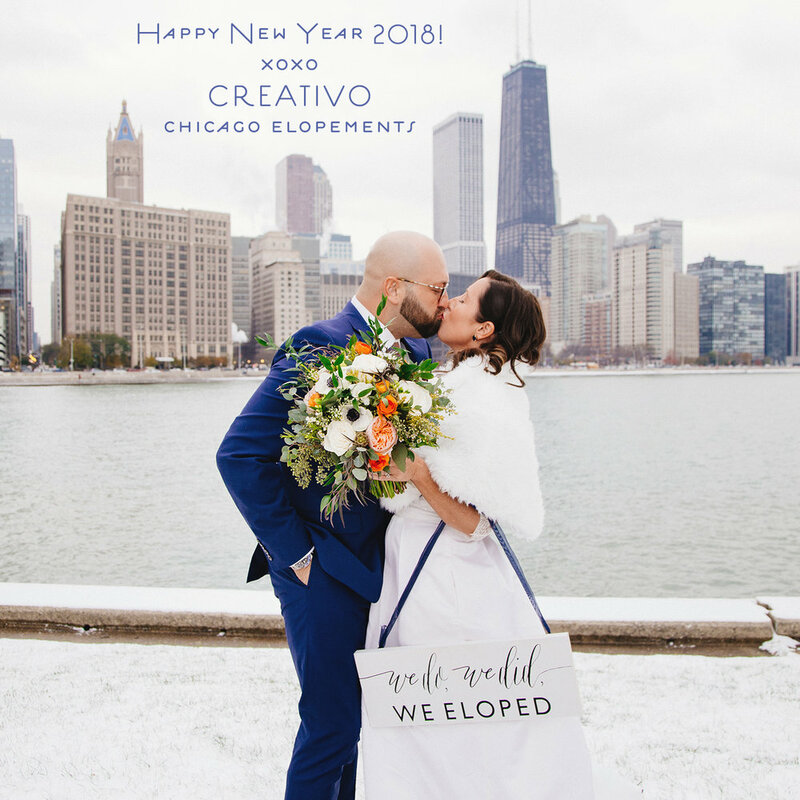 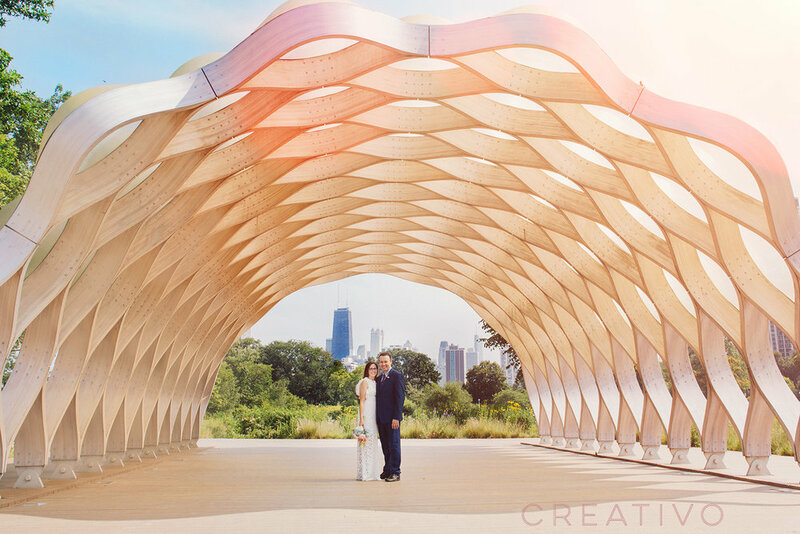 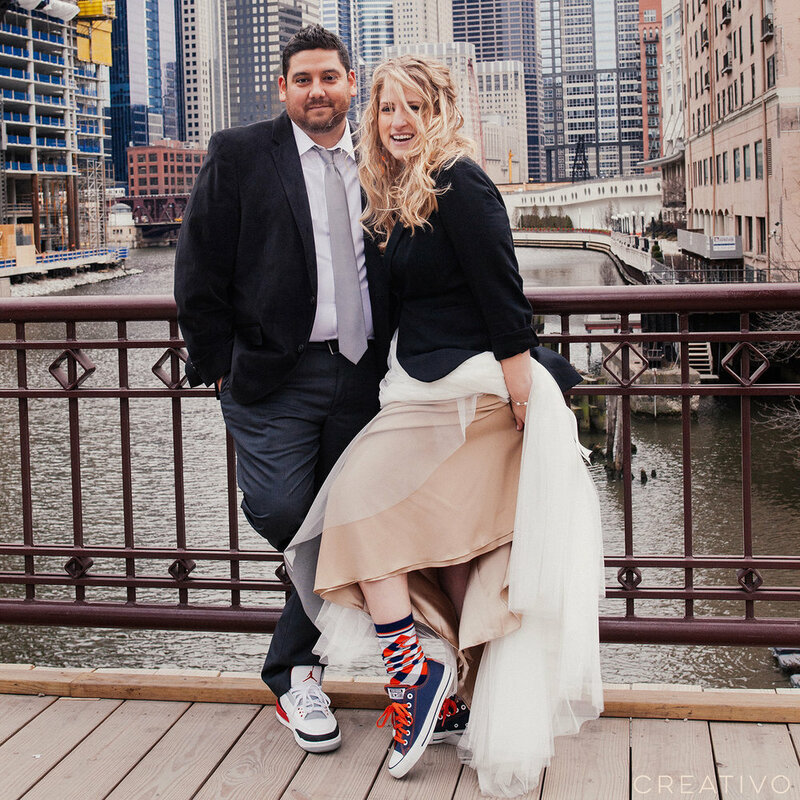 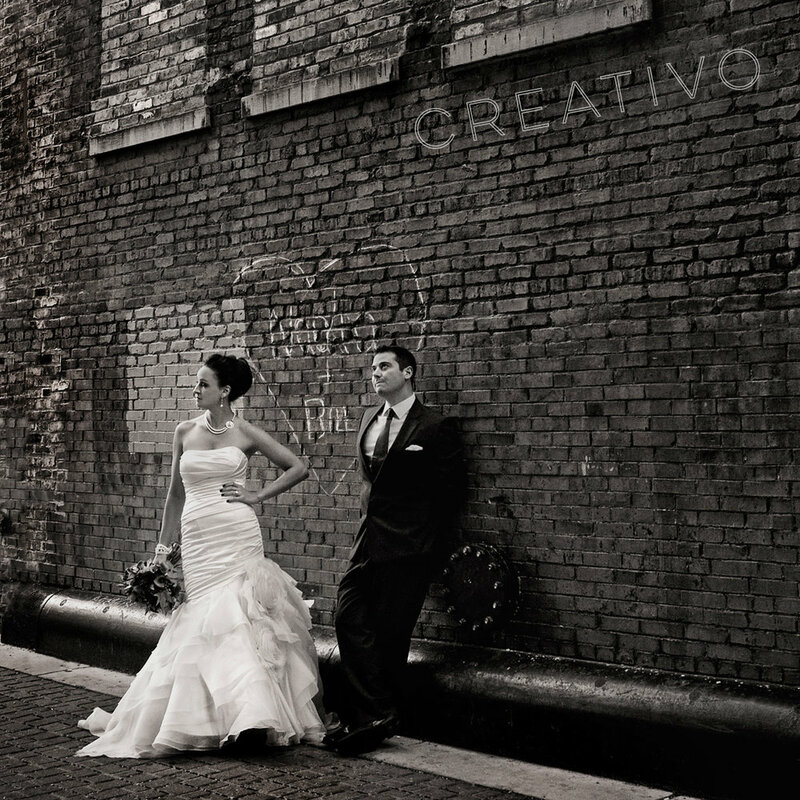 Congratulations to Amy and Sean who celebrated their wedding at Creativo Loft in Chicago on Saint Pactrick's Day weekend. 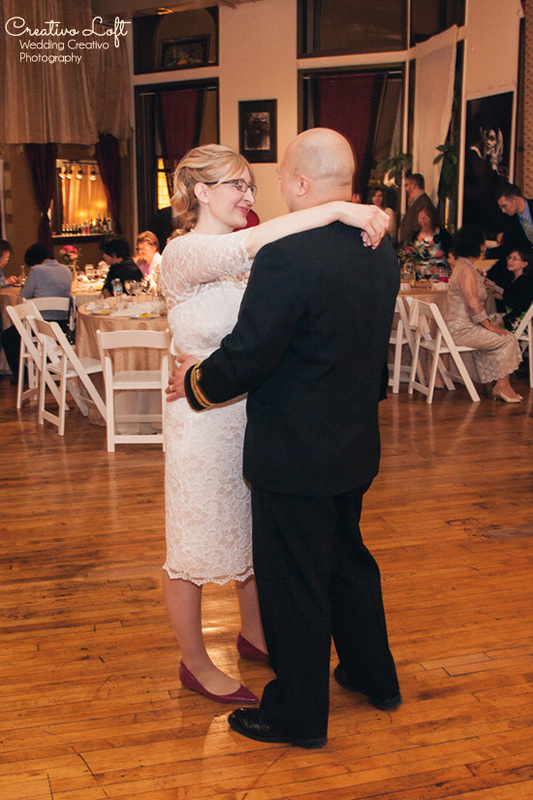 The expecting bride-to-be was glowing in her lovely lace gown, and the groom looked very stately in his well decorated military uniform. 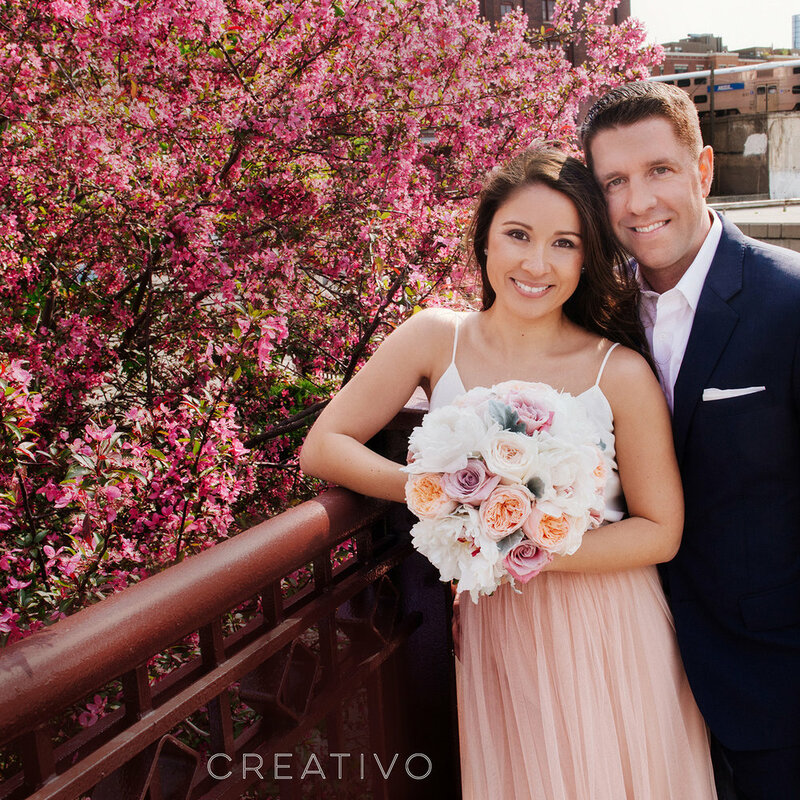 Amy and Sean went with Wedding Creativo photographer Giorgio by the Chicago River shortly after it was dyed green for the annual holiday tradition. 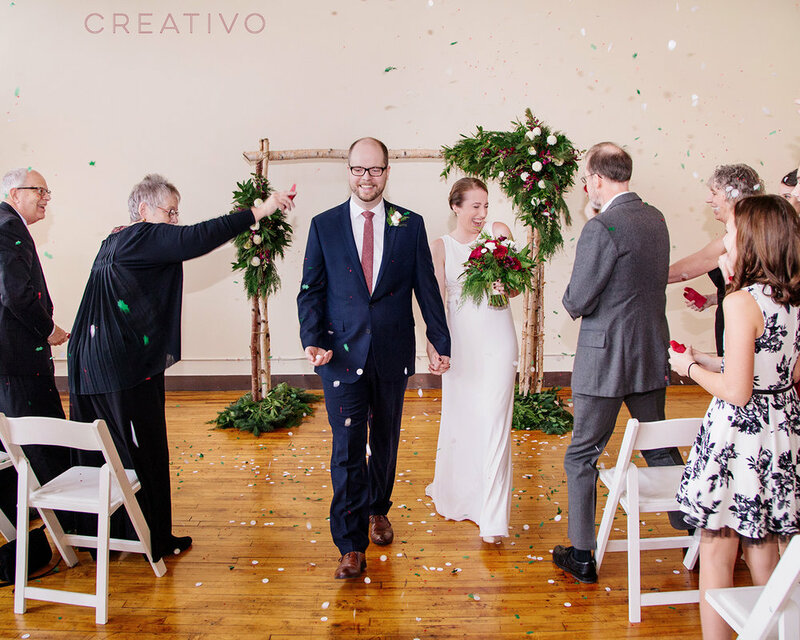 Then they joined an intimate group of family and friends for ceremony and dinner. 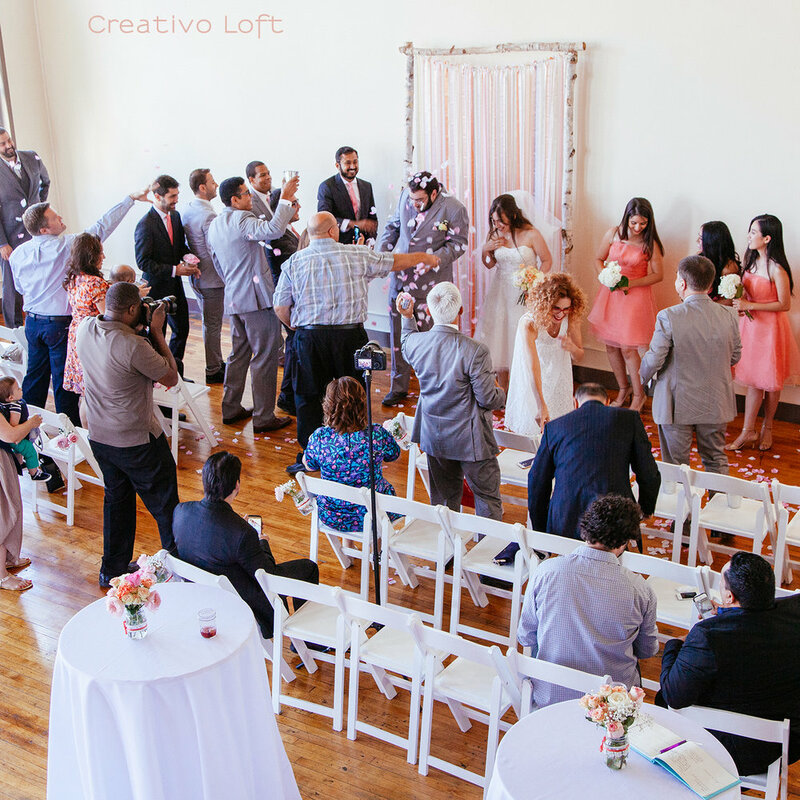 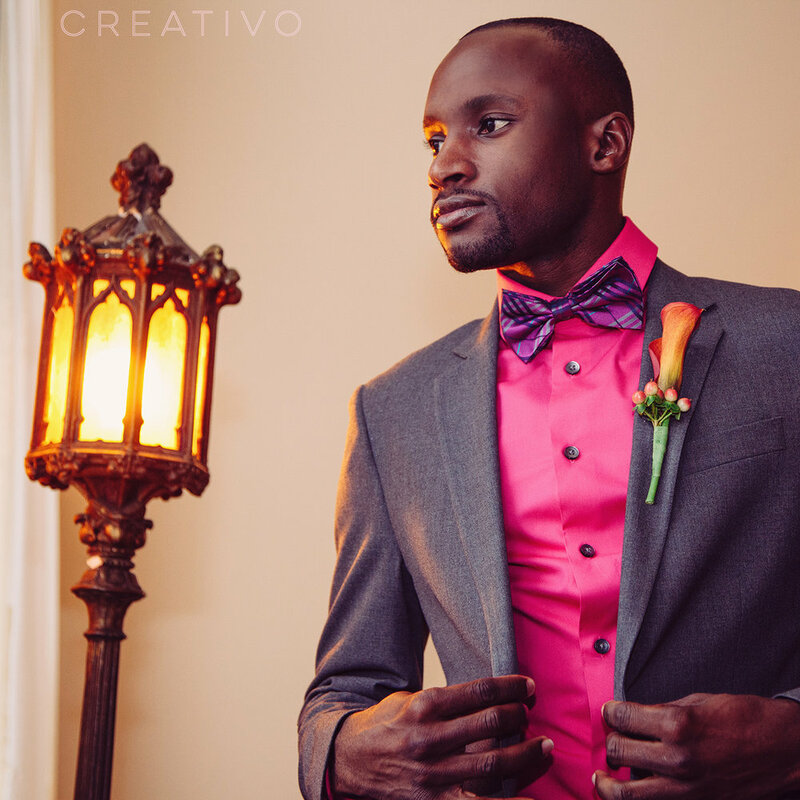 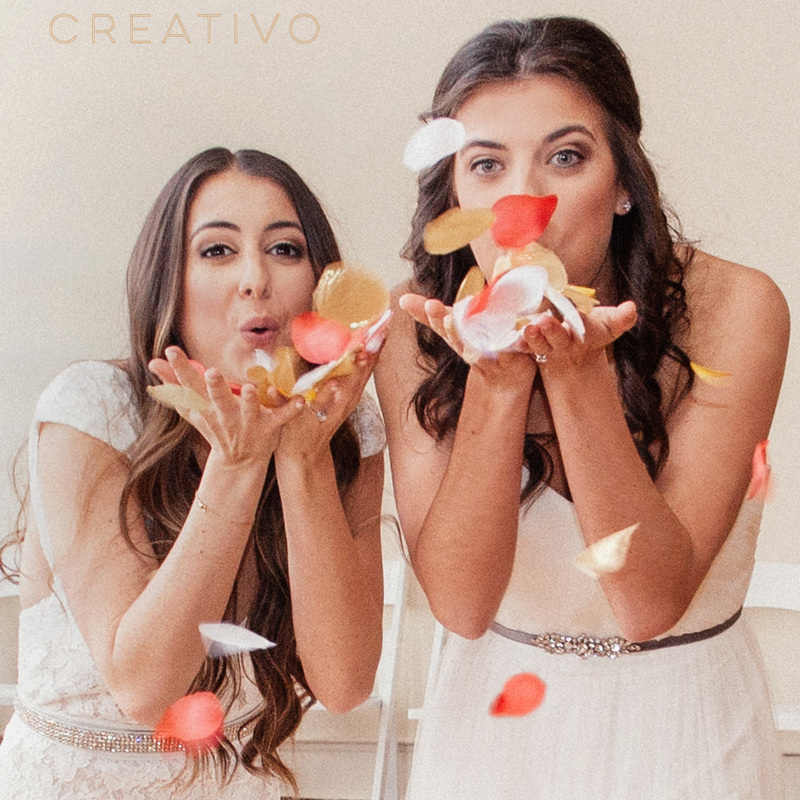 Creativo Loft organized event services for the couple with a delicious southwestern style buffet dinner catered by True Cuisine, cupcakes by Luscious Layers Bakery, and pink accent flowers by Steve's Flower Market. 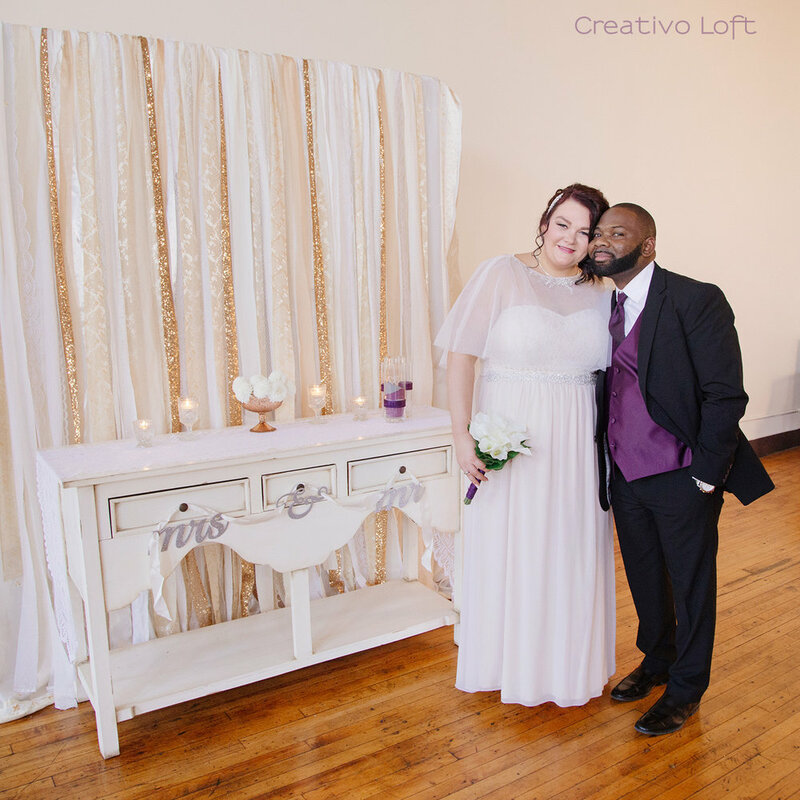 Decor details included our unique Italian jar vases, wine cork table card holders, and vintage cupcake display trays, along with the bride's place cards and cupcake toppers. 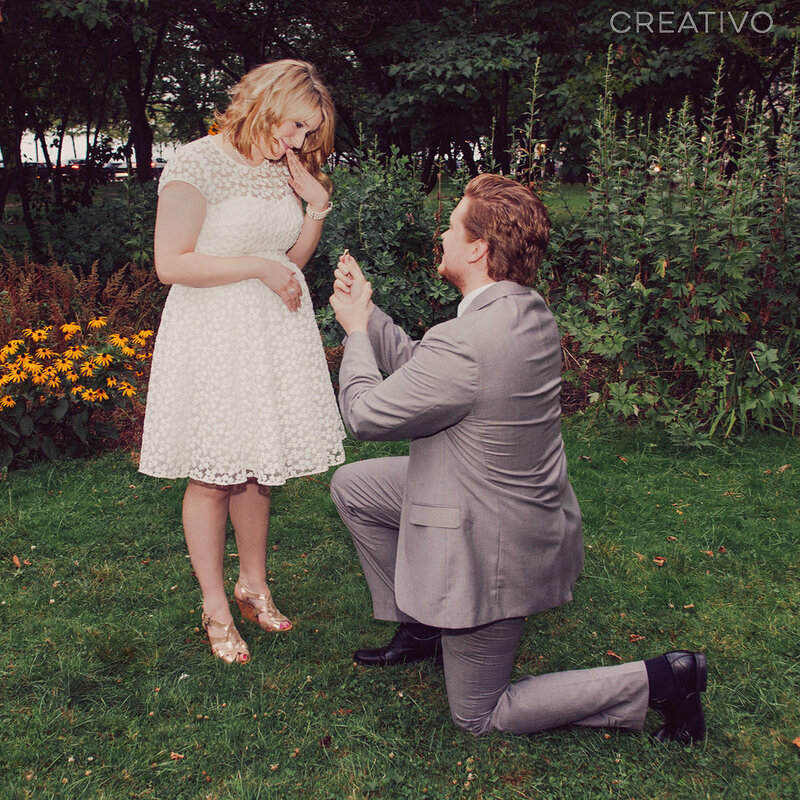 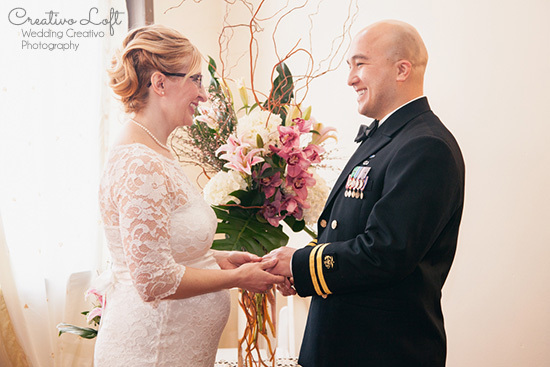 It was a lovely and intimate wedding, and we wish the happy couple a lifetime of happiness!